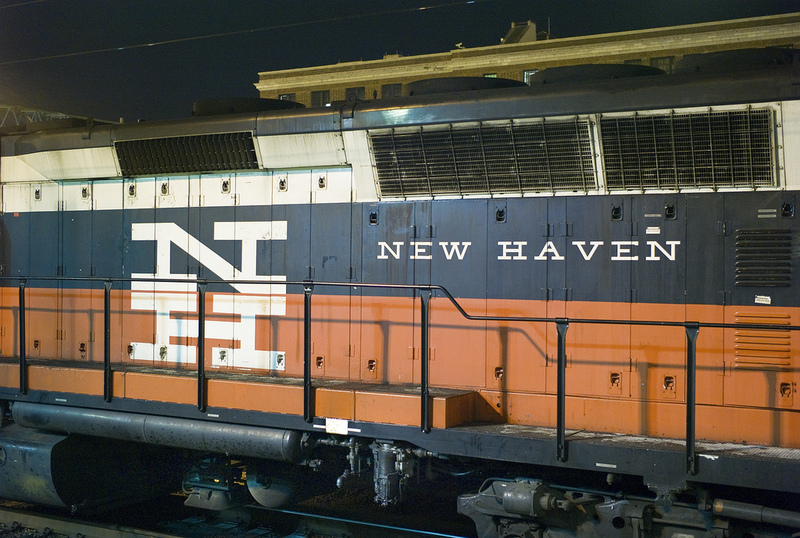 One of my favorite logos is the mark Herbert Matter designed for New Haven Railroad in 1955. Jessica Helfand wrote a remarkable piece on this subject in 2006. Jessica is much smarter than I am, so I leave the hard facts to her. When I was five, I was convinced I wanted to be a train engineer. Reno was the last stop before the hard climb over the Sierras. 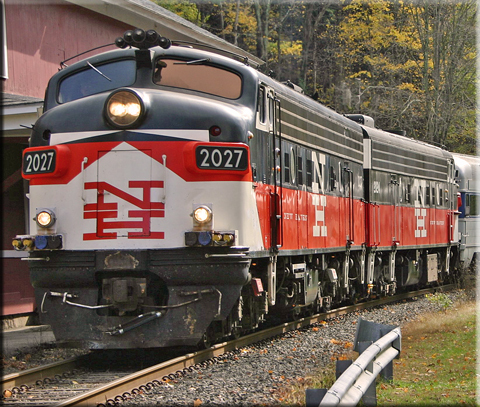 A favorite pastime was waiting by the tracks and waving to the engineers. Kids today aren’t allowed to wander by themselves and stand next to railroad tracks. That’s a shame. 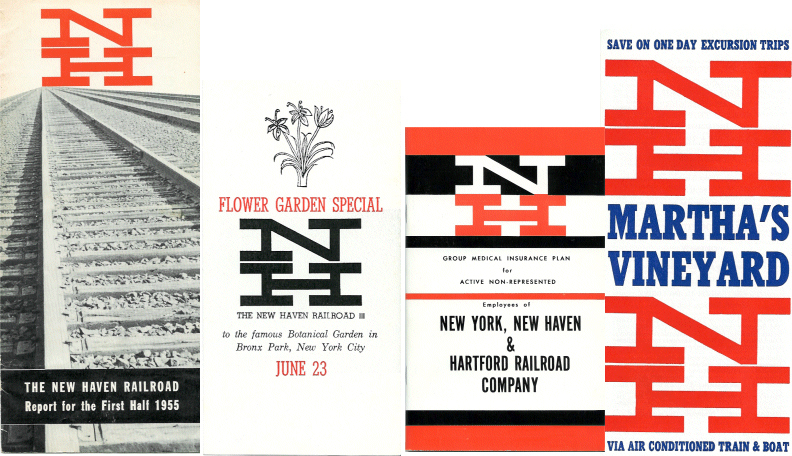 Later, when I gave up my idea of riding the rails, I thought I would be an advertising executive. My only point of reference was old movies like The Man in the Grey Flannel Suit. 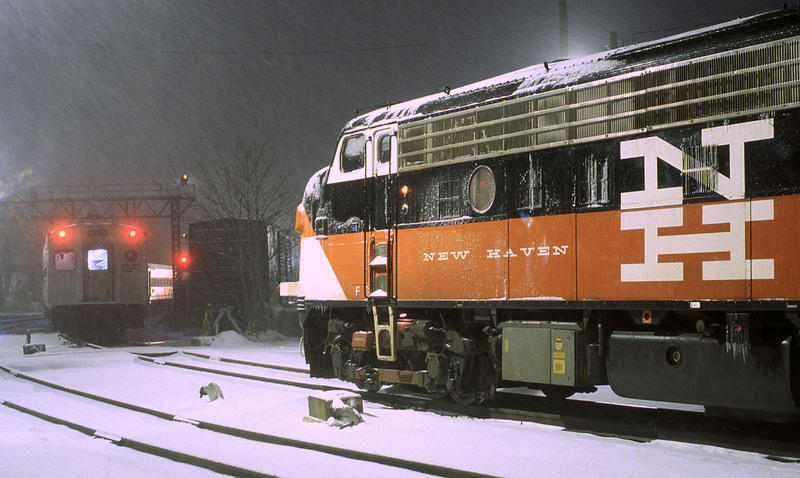 For me, this life would entail living in the suburbs and taking the New Haven line into Manhattan. Somehow, I didn’t put together the fact that it wasn’t 1955 in New York anymore. But, I still have trouble with that.